Maybe we could do a list on what houses works and not? You mean areas you can get to by going over the invisible walls or terrain blocks, right? I've seen two-year old videos of people going out of bounds, but I'm not sure if that sort of thing wasn't patched out at some point. 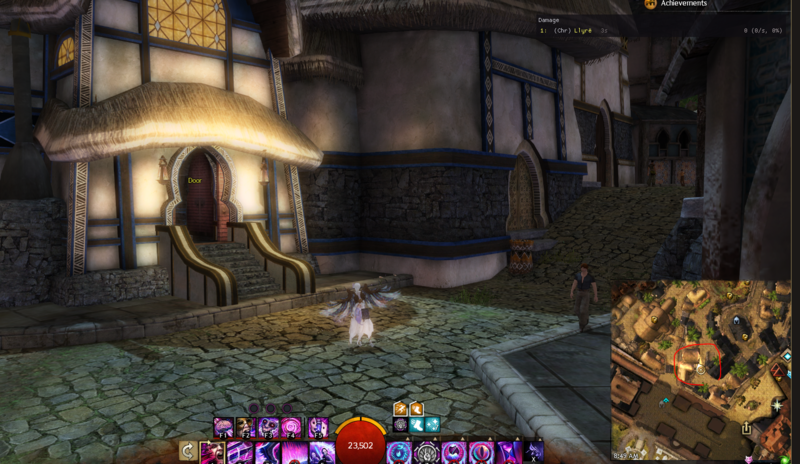 The thing about Caudecus's Manor is that it has its own instance entirely, so there's not really a way to jump into it from one of the non-instanced maps. There used to be a way to get inside the guild initiative headquarters, but they patched it unfortunately... To my knowledge, there's no way to get back inside. I wouldn't object to the idea of a masterlist for methods of map-breaking into instanced areas, the issue is that there's so few of them. 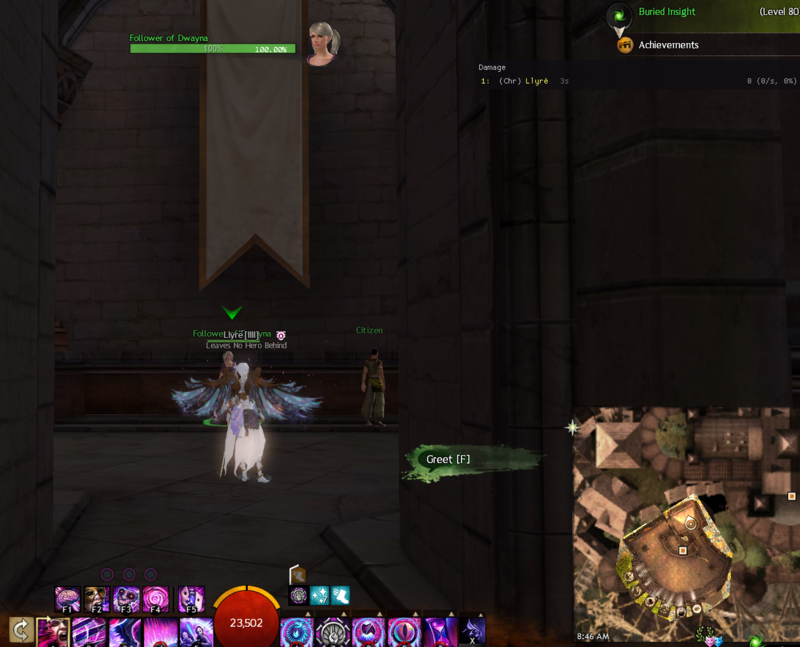 There's still ways of hopping into the Seraph HQ uninstanced, great if you need a formal office setting or need a dungeon. 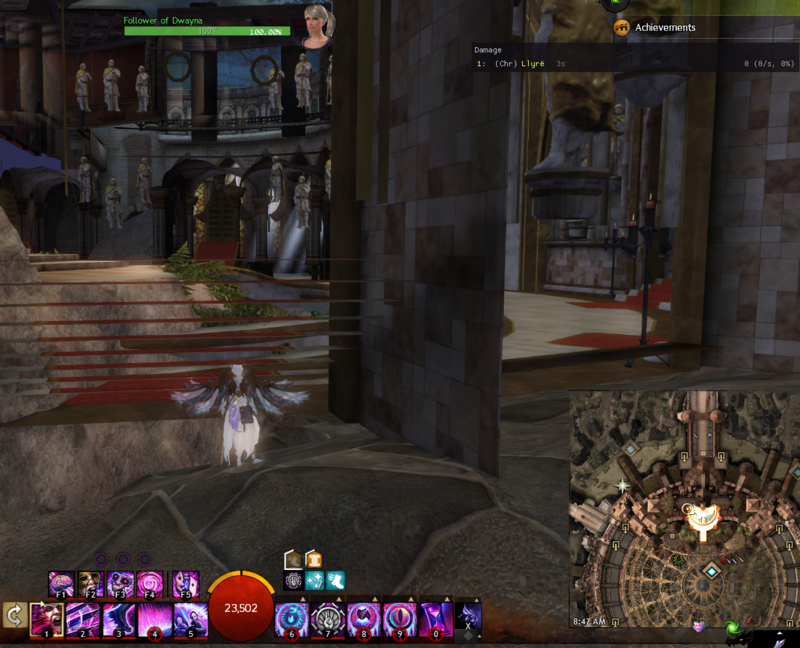 You can actually go under the entirety of Divinity's Reach still, but can't get into the Dead End, just Seraph HQ - think the throne room is still off limits with this method. 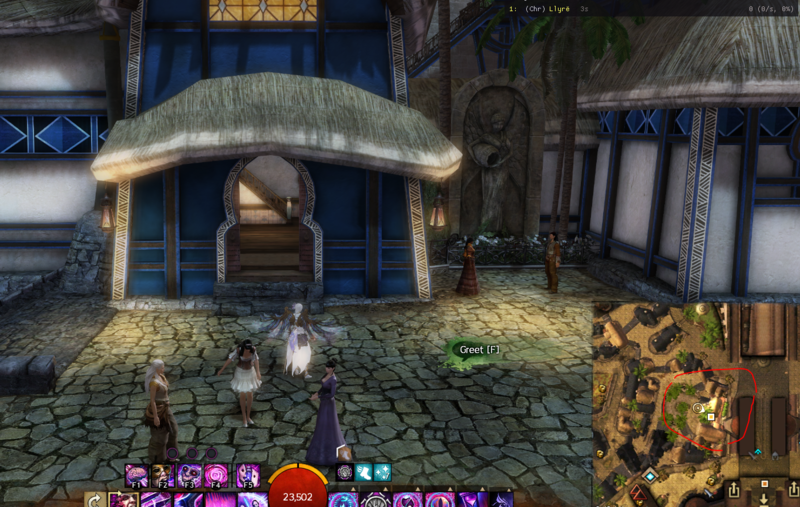 There's also the one personal story asura house within Lion's Arch near the Priory campsite on the beach. You can hop over the wall and it's actually pretty great. They added a lot of furniture for people to use and sit in and added more decorations after adding more walls. Maybe we'll be using the locale again in the future for story, but the only thing to be wary of is that the lighting blinks often so that may be annoying. We used it for the big Halloween event. 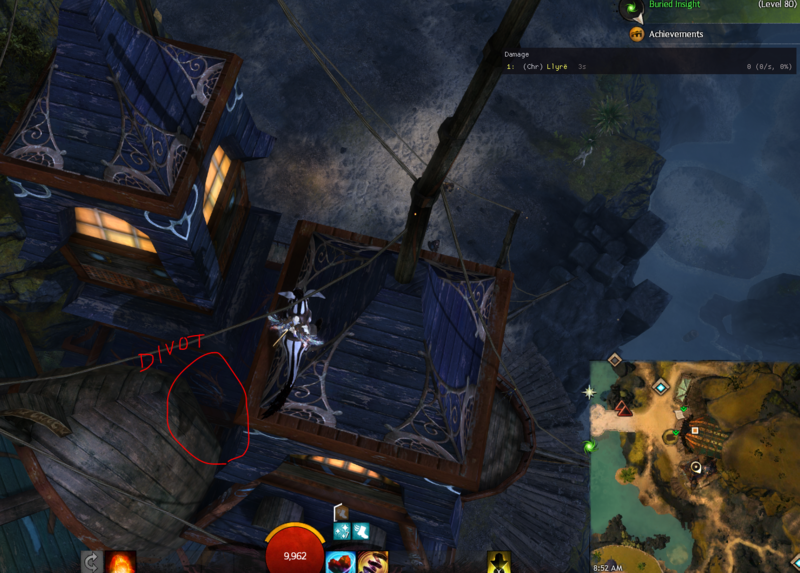 Guild Initiative HQ - there's a way if you get under the map but I honestly haven't tried since they fixed the log in/log out method. 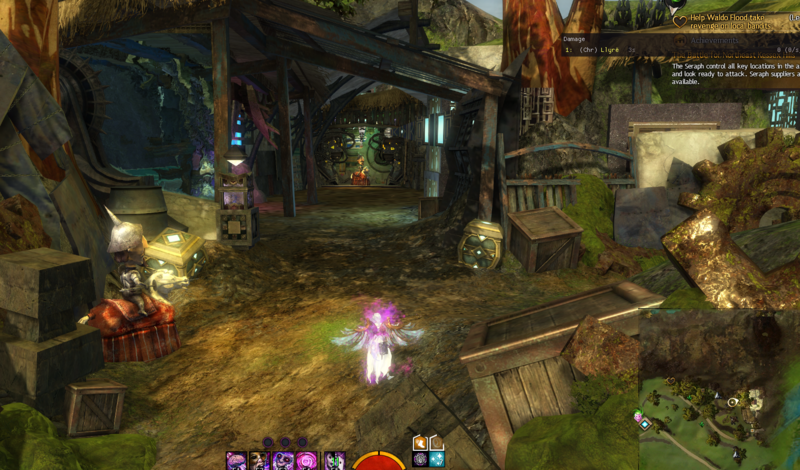 There used to be the asura lab instance in Garenhoff you could do the log in / log out method as well, but I think this also was fixed. Haven't tried going outside the Grove out of boundaries in a while - but that is fun to see the Pale Tree up close. 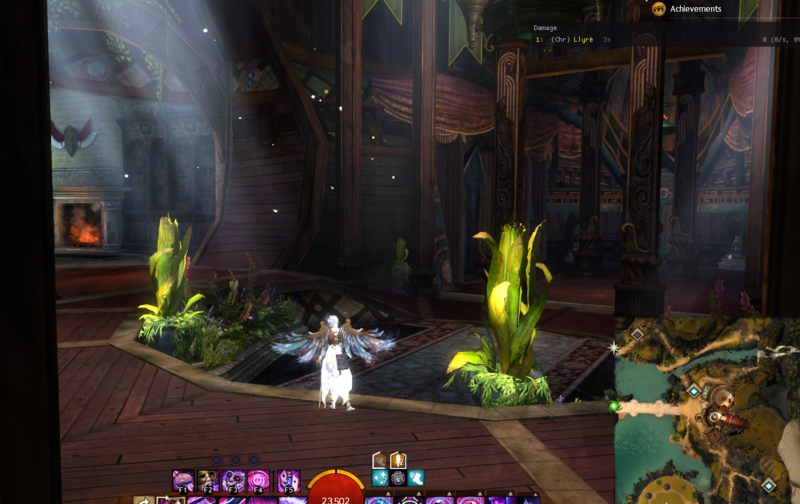 In Gilded Hallow (the gold guild hall) when my guild used to have it, we built a staircase to the top with a pretty tree and there were lots of cool unexplored areas flying beyond that. Probably more cool with mounts. 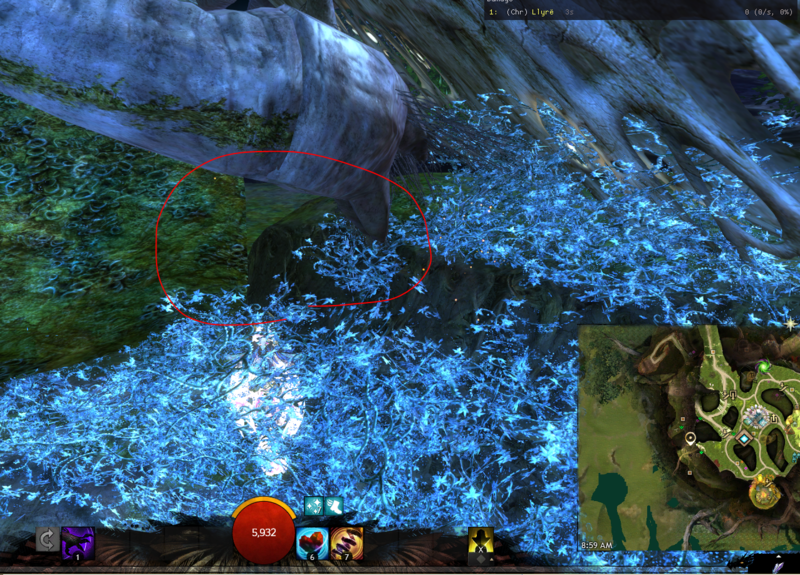 There's a way to go out of the map in Caledon Forest that is pretty cool so that you can see far, but again this was pre-mounts. A lot of these are probably out of date, but I always enjoyed venturing beyond "our limits" and friends shared a lot of good places. This has me curious now about Ebonhawke. I'll have to explore and see if I can break through into some of the closed houses that you can see into (there aren't many, and doubtful if even those have anything in them). Actually, the Guild Initiative is still accesible, provided you have a springer. 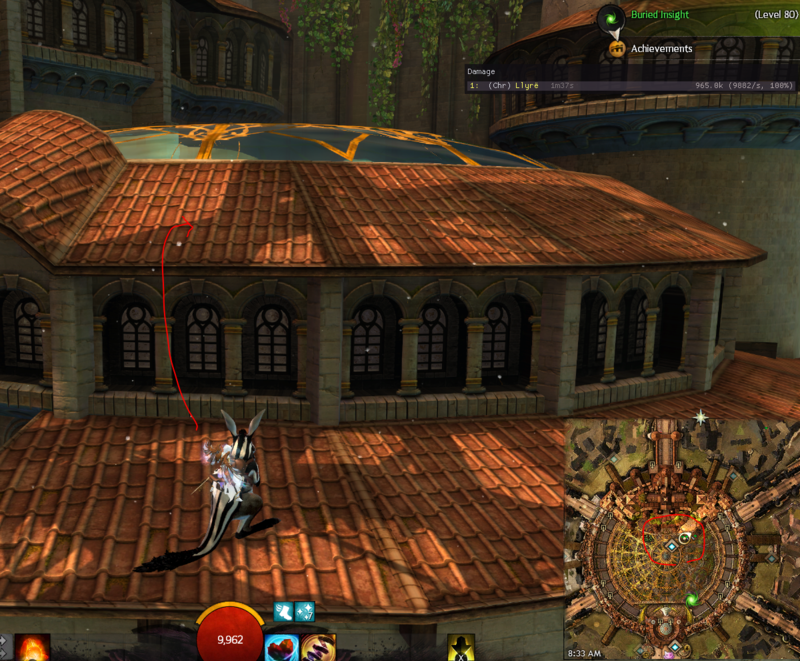 There's this nasty tiny part on the rooftop where logging in and out still works to break in. The same goes for Seraph HQ. The almighty Springer -the best mount for mapbreaking imo- can send you over it. 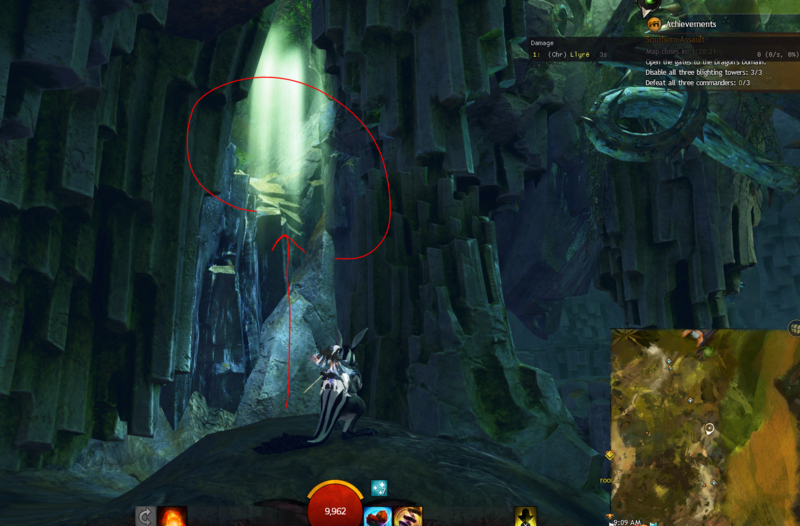 The Outside-Grove is still accesible if a bit of a b*tch to get out of, but I suggest you poke around at the entrance of the 'city', near the presumed statue of Trahearne. Ebonhawke doesn't have any housings as far as I am aware. 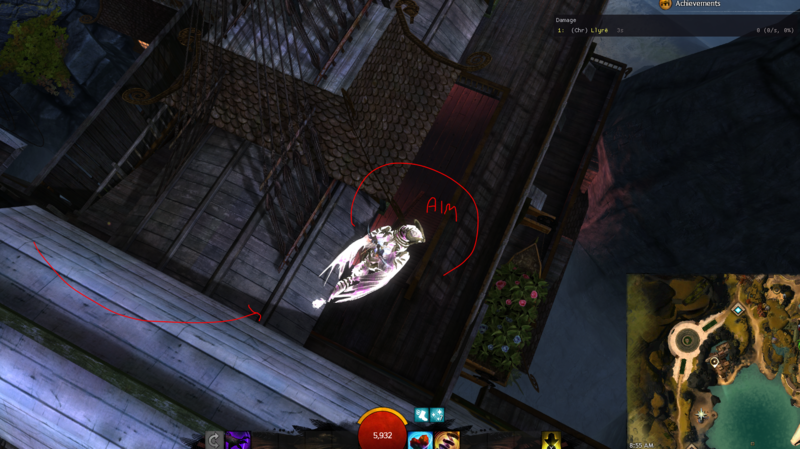 As for methods: A combination of envirronmental weapons, mounts, gliders and mesmer skills usually do the trick for any and all uninstanced locations, with the exception of some 'log-out-in' which for some reason -because Anet was bored- are allmost all locked up to this day. Both are accessible without map breaks. Directly behind Zamon Mansion, you used to be able to break into the bigger, better equipped portion of the house using log out + in method. 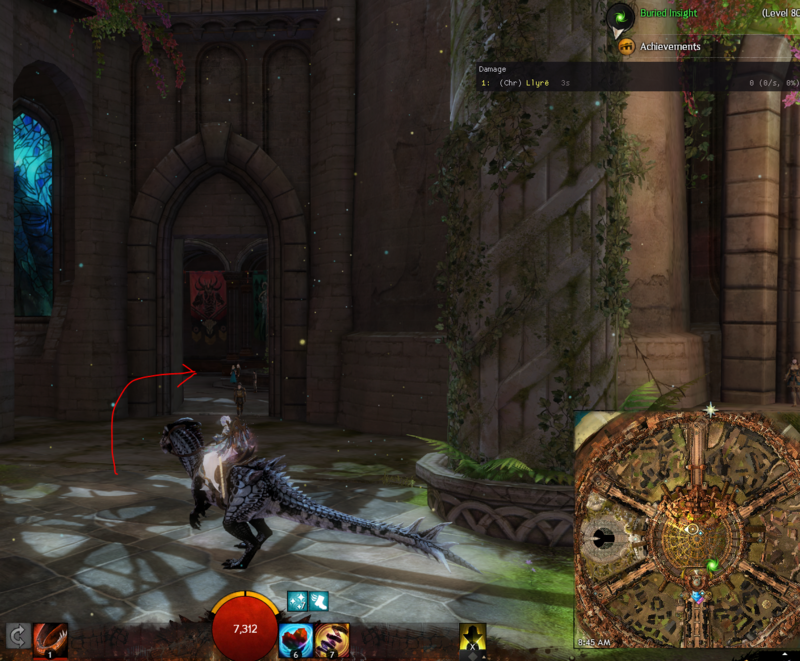 Sadly, after Anet fixed the pet glitch system, this is no longer available. 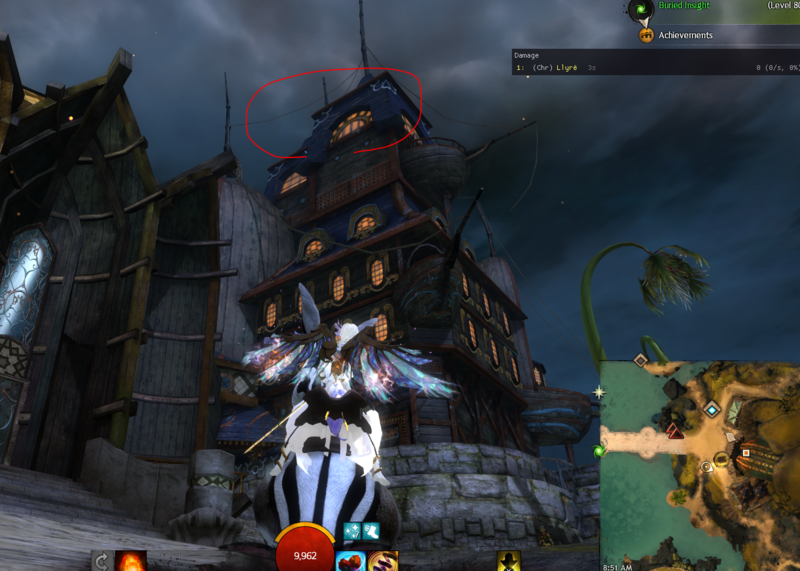 The glass domes atop of Seraph HQ has no collision. 1. Go into the Shrine of the Six. In there, turn right and you'll see a Follower of Dwayna surrounded by citizens. 2. Hop onto your springer and just jump as high as you can, while going forward. This will break you through the ceiling. 3. Turn and make your way towards the throne room. Stand directly beneath the mesh of the stairs. The downward ramp at the topmost floor of the Grove harbors bunch of flowers on a narrow ledge, which we'll be using to map break. 1. Step onto the flowers. 2. Walk along the flowers until you see a little hole. 3. Enter in said hole. 4. Now you've broken out of the Grove! 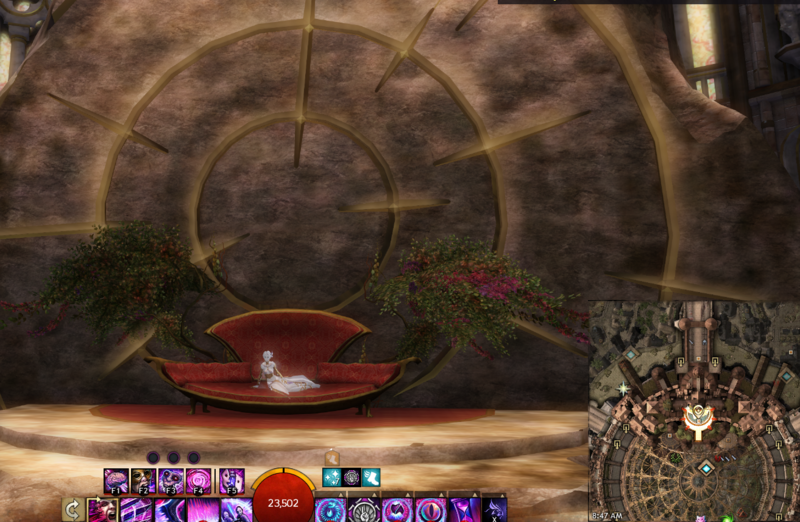 You can appreciate the true grandeur of Mother Tree from here, and explore some nifty, slightly-glitchy trees and blank map terrain that surrounds the sylvari city. Best visited in the dark. 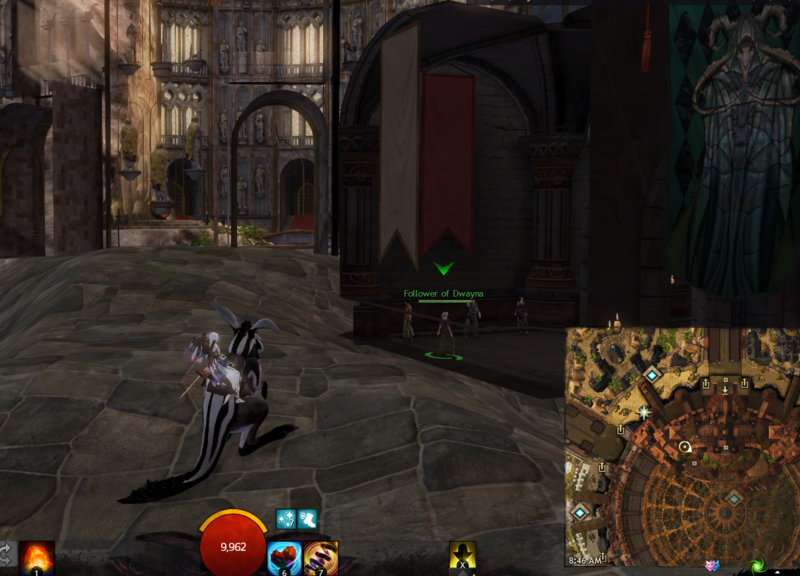 The map break essentially gets you to all uninstanced places of the 'Sum, including personal home, dock, lab--- even a close but sectioned off view of the arena at the upper right corner of the map. 2. From there, pop your griffon and glide as far as you can from the city to the NE corner until you get to the Polymock Arena. 3. 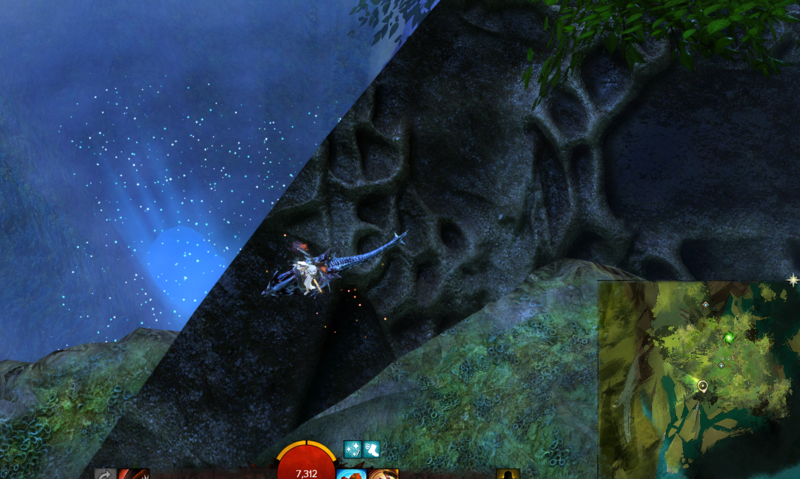 You're free to explore the map beneath the 'Sum from that point onward! just be careful not to stray too close to the city, as asura have special technology that detect your deviant behavior. You may end up in jail for this. 4. I'm not paying to get you out. 1. Climb the cliff edge that's behind the house, springers do well for this. 2. When you're at the top, try to jump towards the red SLIT at the top most floor of the house, which is actually a staircase leading down. There's an invisible barrier that surrounds rest of the house which may prevent you from making the jump. 3. As mentioned in above post, a red light blares within the mansion... Constantly. It's not particularly a mood setter, unless you're in for some horror or intrigue. Very easy, but again requires a springer. 1. 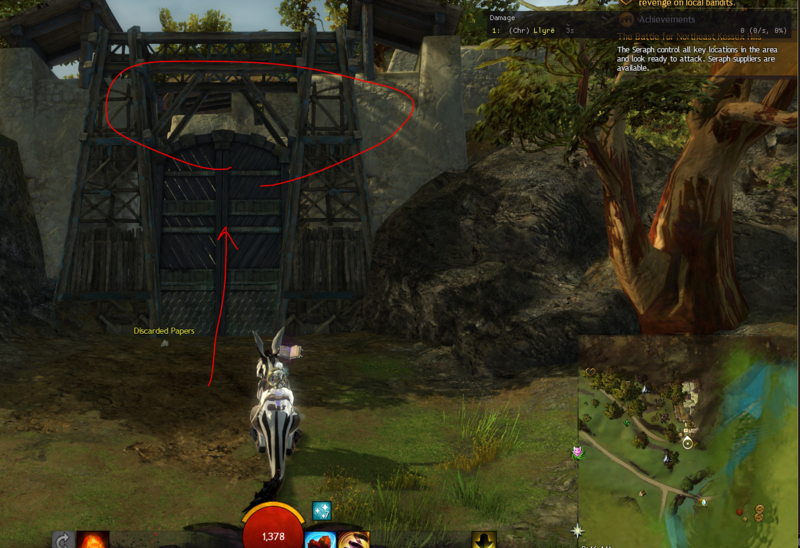 Aim to get to the top of the towers which are located to the right of the 'actual' instance entrance. 2. Springer up and then look down; between the conjoining of towers, there'd be a little black space. Leap into it. 4. You'll find yourself in the dark top floor of the office's rightmost wing. Head all the way down the flights of stairs until you find the lower stair that leads into the rest of the building. Kind of tricky to find, but the map is intact, so as long as you know the layout of the building it shouldn't be an issue! Using your springer, gently aim to hop over and into the little space above the door. 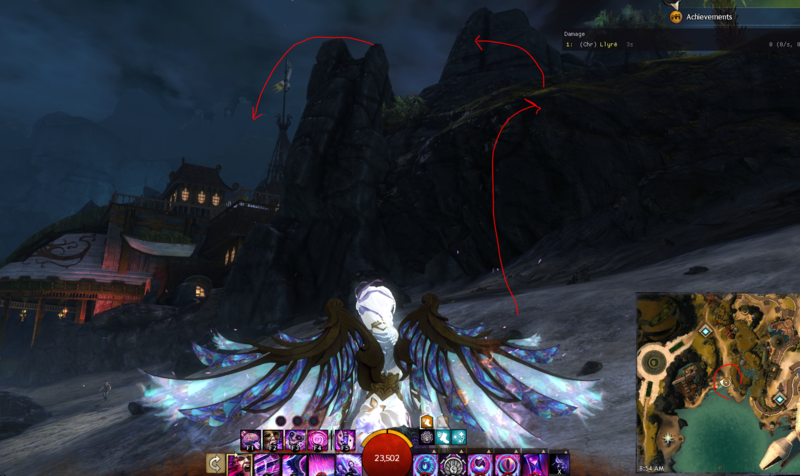 The map break of this meta map-- which is time gated-- allows you access to two new lines that are hidden at the topmost and bottom-most parts of DS. The topmost one grants you access to a series of abandoned buildings, as well as a giant tentacle wiggling vine that swims in the distant shores of DS. 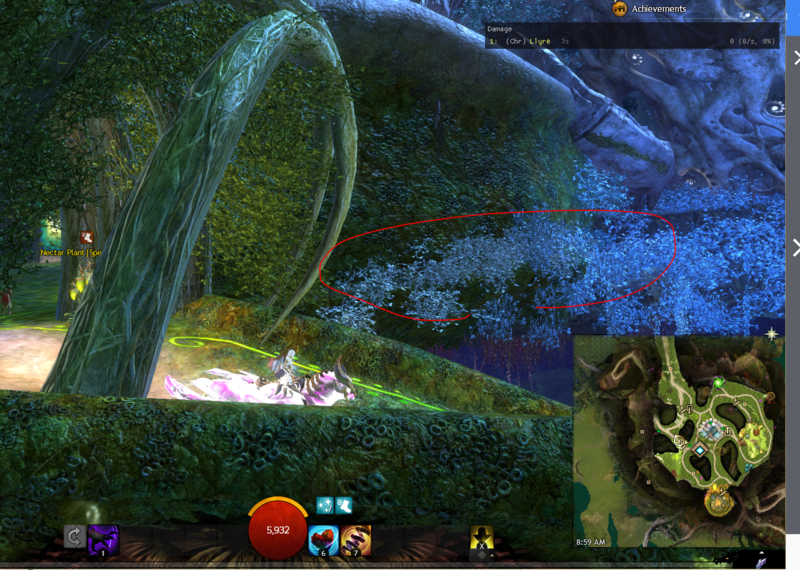 The bottom-most one is actually the DS instance lane, where you save Logan / Zojja. 1. Little ways into the Pact Base Camp Southern WP, there is a window of light that gleams through the rock formation / tunnels. 2. Springer up into it and you're out of the map. However, to navigate past that point and into the interesting sections of DS, you will have to use a griffon to leap-fly-scuttle-cheat through sporadically placed invisi-walls until you come onto flat map terrain. 3. From there on, either go down the South-south lane or turn around and circle back to the Pact Base Camp, and around it to get to the abandoned ruins. 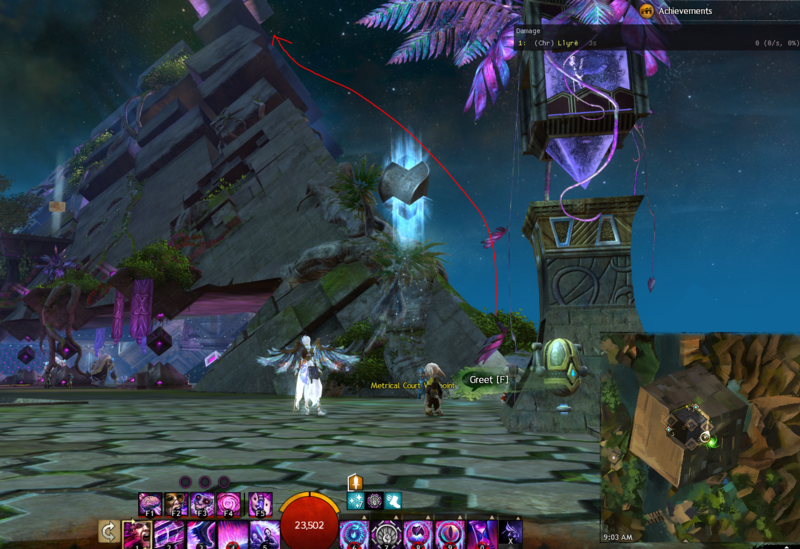 There are other several uninstanced / mapbreak rp homes and interesting places out there that I've definitely not covered in the post, but know of existence. 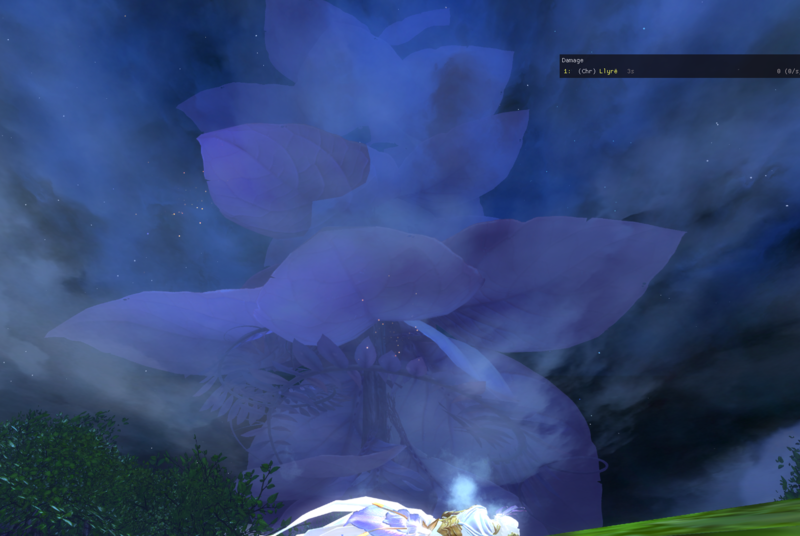 Once I figure out how to get those working (Caledon, Garenhoff, etc) I might give this post an update.